Michael Bates-Northern Spy returns to PLG Arts Jazz at KD’s, 408 Rogers Ave betw Sterling St & Lefferts Avenue. Take one listen to the joy and energy of this unpredictable band and try not to get caught up in the excitement. Northern Spy’s rough-and-tumble interplay meets in a place where everything is an option. Their new CD features music written in admiration of artists such as Donny Hathaway, Curtis Mayfield, Blind Willie Johnson, and Otis Redding. It’s organic, soulful, edgy music that veers happily between wide open jazz, the swing tradition, and heavy grooves. A band of long-time New Yorkers who play with intensity and fire; they take the blues and manhandle it into unexpected musical shapes. 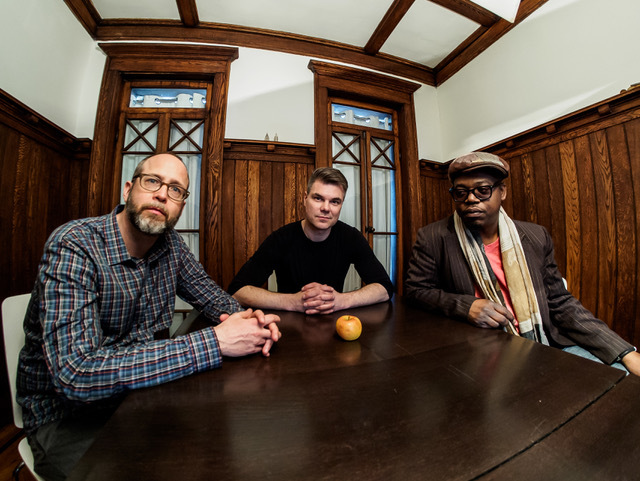 Michael Bates-double bass; Jeff Lederer-saxophone; Jeremy “Bean” Clemons-drums.